Which design principles from the 1970s are worth retaining, and which should be discarded? 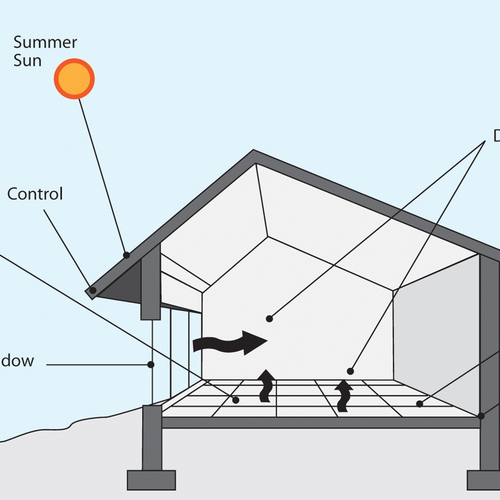 Do the passive solar design principles developed in the 1970s still make sense? Probably not. Everybody loves passive solar design. 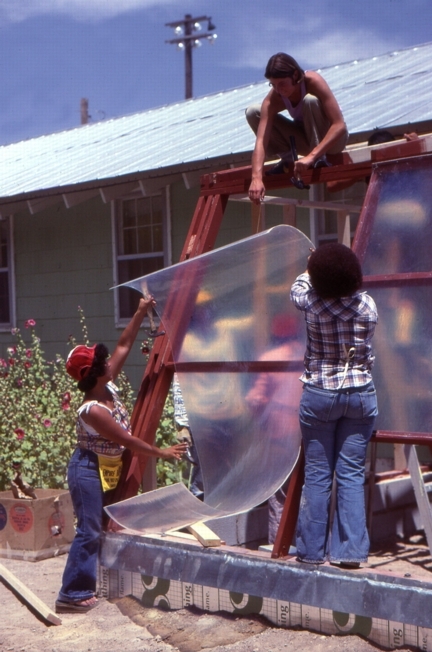 Back in the 1970s, “passive solar” was the essential first step for cold-climate builders. It was considered an approach with obvious advantages over complicated “active solar” schemes that required pumps, fans, and electronic controls. While the definition of a “passive solar house” was well established by the 1980s, Wolfgang Feist muddied the waters in the 1990s when he decided to call his new superinsulation guidelines “the Passivhaus standard.” Ever since that fateful day, journalists and owner/builders have confused passive solar design principles with Feist’s superinsulation standard from Germany. Rather than focusing on the confusion between passive solar design principles and the Passivhaus standard, however, I’d like to travel back in time to the 1970s, the heyday of the passive solar movement, to identify the original principles espoused by passive solar designers. Once these principles are identified, we’ll examine how many of them have stood the test of time. In October 2009, the Passive House Institute U.S. invited me to give a presentation at the Fourth Annual North American Passive House Conference in Urbana, Illinois. In that presentation, “The History of Superinsulation in North America,” I discussed the debate between “solar house” advocates and superinsulation advocates during the late 1970s and early 1980s. After Joe Lstiburek and John Straube saw my presentation online, I was invited to present it again at the 14th Annual Westford Symposium on Building Science (August 3, 2010). Some of the information from that presentation was incorporated into a 2010 GBA article, Solar Versus Superinsulation: A 30-Year-Old Debate. Thanks for sorting through the issues, non-issues, myths, and truths in a balanced, rational, non-dogmatic way! This will be very useful for lots of people. 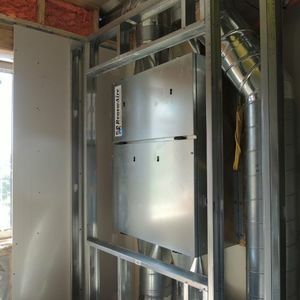 One idea that has recently been tossed around and tested as a different way to re-think passive solar design is a low-thermal-mass sunspace that is insulated from the house, but connected by operable vents, usually with fans (which I know aren't passive). The idea is to let the low-thermal-mass space get cold at night and on cloudy days, with it sealed off from the house. On sunny days it heats up quickly because of the low thermal mass, and you open the vents to bring the heat in the house. At the end of the day, most of the heat collected has been moved into the house, so you don't lose much stored energy by letting the sunspace cool off. There's a fuzzy line between that idea and the idea of a simple flat plate solar air heater, the difference being that a low-thermal-mass sunspace is presumably big enough to sit in, during the limited number of hours that it's a comfortable temperature. It also seems more likely to be possible to make it look like an intentional aesthetic feature rather than a bolted-on mechanical system. It's sometimes hard for people steeped in the lore of 1970s passive thermal design to get their heads around the advantage of low thermal mass sunspaces, but the theory is sound and they have been tested successfully. Most of what I've seen is DIY projects using discarded materials, and those are of course cost effective, since the cost approaches zero. It seems much less likely that a professionally built version with new materials would be cost competitive with the current favorite of grid-tied PV + minisplits as a means of solar heating, but I haven't seen an analysis. 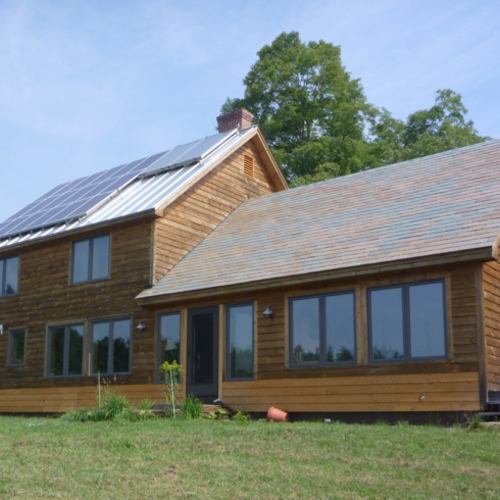 You wrote, "One idea that has recently been tossed around and tested as a different way to re-think passive solar design is a low-thermal-mass sunspace that is insulated from the house, but connected by operable vents, usually with fans." I was struck by the word "recently" in this sentence. I built one myself in 1975 -- using old window sash I gathered for free, of course. I used it to start vegetable seedlings. Of course, the space froze -- I eventually bought and installed a kerosene space heater to try to keep the plants alive. There are very, very few hours during a year when these spaces are comfortable. They are almost always too hot or too cold, so you won't see many people sitting in their sunspaces with a smile on their face. Used as you describe, they can add a little bit of heat to a house. Are they cost-effective? Absolutely not. There are about 500 other measures that a homeowner should invest in before spending thousands of dollars on this type of sunspace. On the south side, our old house has a minimally insulated porch with lots of windows. We access it from the house through some exterior French doors. In winter, on sunny days, it gets hot, but we just open the doors and let the heat into the rest of the house. We used the space frequently, all year long. When it's really cold, like -15, it freezes, but it never gets cold enough (below about + 15) to kill the rosemary plants we leave there in the winter. Of course on cold days, it is clear and we generally get sun. Our new house has a similar room, outside the conditioned space, but with pretty good insulation and pretty good (U-.25) windows. When winter arrives, we expect it to collect sunlight and heat and we'll open the room to the rest of the house. It really never overheated in the summer. On sunny days we just open the windows. Of course in Maine, it rarely gets really hot. We used the room a lot, all summer long and were never uncomfortable. Thanks for your balancing comments. You're right, of course: some sunspaces can be comfortable for many days of the year. The least comfortable sunspaces have sloped glazing or glass roofs; the most comfortable sunspaces have conventional (insulated) roofs. That said, homeowners who invest in this type of room should be aware that the investment won't be a cost-effective way to lower their energy bills. It's simply another room -- one that may be delightful and worth the investment (because of the pleasure it provides), but not one that can be considered an energy feature. For a humorous look at a home where the occupants got fed up with an uncomfortable sunroom -- so fed up that they made drastic modifications to the sloped glazing -- see South-Facing Skylights: Threat or Menace? I agree. A sunny room should be delightful, but will hardly be cost effective from an energy standpoint. But most of a house isn't cost effective if one looks at energy inputs and outputs. Let's face it. Most houses are lousy investments if you just look at the numbers. The east-west orientation is still important, not for passive thermal gains, but for higher energy yield from fixed rooftop photovoltic panels. When PV panels become north of 30% efficiency this fades a bit, but it's hard to get to Net Zero without quite a bit of optimally oriented PV panel real-estate at current 15-22% efficiency commodity silicon panels. That's an excellent point. It may have nothing to do with passive solar design, but your point emphasizes an important truth: if a builder wants to prepare for our solar future, the most important thing to do is to think about where the PV array will be installed. I have a variation on the idea of a low thermal mass sunspace that may be very workable. I'm still working on it (and I'm taking my time about it). You may not actually have to create a low thermal mass space that you will live in. What I'm doing is using the space just below the roof sheathing as my "sunspace". I have not attempted to create a roof with a low (or is it high?) reflective index. Instead I've used normal darkish shingles and I have painted the underside of the sheathing flat black. The idea is that whatever heat the plywood sheathing has absorbed will have an easy path to reradiate that heat in a downward direction. To compensate and contain this low resistance path for infrared radiation I've stapled a standard aluminized radiation barrier to the underside of the rafters. 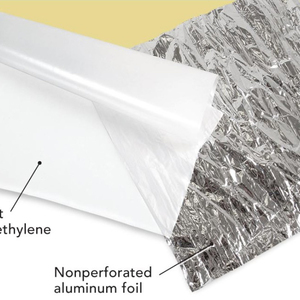 This helps in stopping the heat from overheating the attic and then the living space. It is imperfect though because of the thermal bypassing at the rafter edges where there is no air space between the rafter and the radiation barrier. The hardest part in constructing this has been in creating the controllable vent through the roof with a motorized damper. The first damper I put up there has stopped working. It may be that the heat has fried it. I measured a heat up there once of 155F! It may be time to change out the damper to a manual one with a system of pulleys. That's on the back burner right now with other work I have.The other part of the system was to tie the radiant barrier into a duct that channels that hot air into the living space. It also requires a damper but I expect that damper to be motorized and long lived. This system will required a fan to bring that air into the living space. The operational idea is to open the roof damper once one is outside of the heating season to allow the roof to cool off normally in spring, summer, and fall. Normally one should only have to open or close the roof damper two times a year, so a manual damper will work fine. In winter that damper is always closed but the damper to the living space is opened and closed daily. When the thermostat in the rafter space is above 75F or so this damper is motorized open and the fan brings the air into the house. When the house is warm enough, or the temperature in the roof cooled down too much that damper is closed. Remember, there is not a lot of temperature inertia in the roof. You have to use the heat when its there. 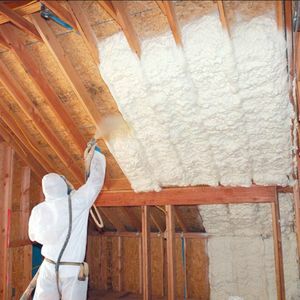 The whole point is that you have enough insulation and tightness in the living space to keep the house at whatever temperature it gets to and to keep it there long enough to reach the next useable heating cycle on following days. I think this idea is a much more useable idea than a sunspace for the reasons Martin gave. You aren't required to live between the raters. Thank God! And you have the whole vast expanse of the roof to collect heat. You are creating an inefficient solar air collector. Your scheme has all of the usual disadvantages of solar air collectors -- most prominently, the fact that the cost of the hardware exceeds the value of the collected heat -- with a few additional disadvantages (for example, the fact that the absence of glazing lowers the temperature of the heated air). Remember, the damper that you have designed to allow heat to enter your house will leak a little bit of air, so that your contraption will degrade the airtightness of your home's thermal envelope. For more of an in-depth look at why your investment won't yield enough energy to justify the cost of the hardware, see Solar Hot Air Collectors. One final point: in many climates, snow will impede the function of the system you describe -- and the snow tends to occur on the days when the heat you are trying to collect is most needed. Martin, I'm not so sure you are correct in your assessment. 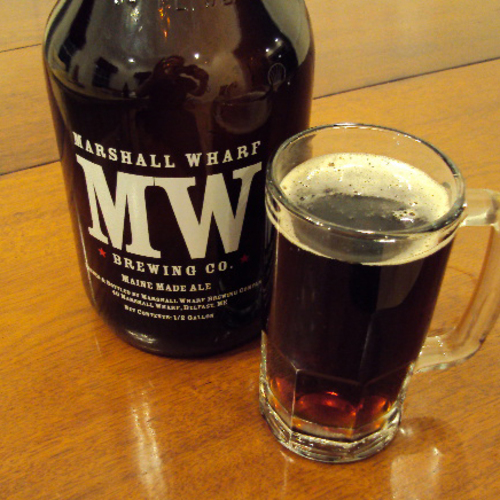 You are interpreting this idea from a Vermonter's perspective. That's OK. I'm likewise interpreting it from a Californian's perspective. That's OK too. We probably should both have stated that up front. I think the idea that a damper having an air leak may be a red herring. Doors and operable windows also may have air leaks. Yet most superinsulated houses still have them and it doesn't keep them from being superinsulated. Of course I'm not trying to imply my home is superinsulated. It isn't. But one can't play fast and loose with principles to win an argument. It's the details that count. The idea I'm playing with really isn't the same as solar hot air collectors. It depends instead on high volume of low quality heated air. This is the opposite of solar hot air collectors. I'm surprised you didn't pick up on that. I'm not at all saying that I've developed a proven idea because I haven't proven it. But I think you are too quick to lump it in with an idea you know about and concluding its the same. Also, you missed the biggest potential disadvantage to my idea: It might replace valuable real estate that could be used for PV. PV placed on a roof might cool the roof enough that the idea would no longer be useable. Believe it or not, I did understand your proposal. Even in California, the net effect of your scheme (useful heat gained minus heat lost through the operable damper) will be quite low, and will not be enough to justify the cost of your hardware. Lots of people have tried out this scheme, and every other variation of the "solar attic" -- including glazed solar attics and unglazed solar attics. These are old ideas from the 1970s, and they didn't pan out. I am not ready to drop the importance of east-west orientation for another reason. Doesn't cooling and glare become a real issue in a north-south oriented super insulated house, any house? If a house isn't oriented east-west a larger percentage of it's window surface is more likely to face east and west. I understand that trees can provide shading but how do energy calculations take this properly into account so equipment is sized adequately? Martin, thanks for the illustrated history lesson (#2)! Although I was alive in 1970, I was building only with tinkertoys at that point, and my tinkertoy set didn't include any glazing. My sense of the history was that first people built sunspaces, without thinking about thermal mass much. When their seedlings froze and died, they started thinking about thermal mass and the accepted wisdom became that high solar mass was better. I didn't realize that people had been deliberately minimizing thermal mass in sunspaces or understanding that doing so would increase their heat yield until more recently. And Alex Wilson's blog only mentions thermal mass as something to add to prevent freezing, not something to avoid in order to maximize heat harvesting. Maybe that was considered too obvious to mention, but regardless of whether the folks in the 70s understood that minimum thermal mass could lead to maximum heat harvest, that concept is missing from most descriptions of the sunspace approach. Anyway, we agree that sunspaces are not anywhere near the top of the list of cost effective improvements, and we agree about when you would want low or high thermal mass in one, and we agree that one can't count on them being at a comfortable temperature much of the year. Every imaginable variation on the sunspace was built during the 1970s -- both low-mass sunspaces and thermal-mass-equipped sunspaces like those advocated by Steve Baer. Organic Gardening magazine, Mother Earth News -- all of the magazines had instructions on ways to tack on a sunspace on the south side of your house, using polyethylene, old windows, new windows, Kalwall panels, or patio door replacement glass -- with or without concrete or 55-gallon drums of water. Of course, when the sunspaces overheated, the hippies installed fans that blew the hot air into the house. When the sunspaces froze, the hippies added heaters or exterior insulated shutters. Every imaginable experiment was conducted, I think. The ideas in Mother Earth News or Harrowsmith may not have all panned out, but as you say, the almost endless variations on a theme have left a legacy of what works and what doesn't. I love the architect's drawings from that era. Full of annotations and arrows indicating solar gain and views - as though they were physical objects in the building. We've all been misled in the past by the "smart arrows" -- the ones indicating air flow -- on architectural drawings. I certainly remember prominent "smart arrows" in every article I read about double-envelope houses. GBA Prime subscribers should be aware that this week's blog exists in two versions: the traditional behind-the-paywall version and a "sneak peak" version offered to whet the appetite of non-subscribers. There are now two parallel threads of comments, so interested GBA Prime subscribers might want to check out the comment thread on the article on the free side of the paywall: GBA Prime Sneak Peek: Reassessing Passive Solar Design Principles. This is an interesting article and comments. To be honest I am not sure whether I would build a passive solar home again, the cost/benefit ratio is not what one would hope. However my observations tell me that there may be other hidden benefits not discussed here yet. For example, the coldest winter nights of the year are almost always followed by days with brilliant sunshine. (I think the lack of insulating cloud cover is part of the weather equation.) So on a -10 degree night our geothermal unit will be cranking away, slowly dropping the loop temperatures, becoming less efficient by the hour. But by the middle of the next day solar gain will heat the house on its own, the geo unit shuts off and the ground loop temps recover. Pretty neat to observe. You wrote, "On a -10 degree night our geothermal unit will be cranking away, slowly dropping the loop temperatures, becoming less efficient by the hour." It should be noted that if your house had fewer south-facing windows, your heat pump wouldn't have to work as hard on cold winter nights. Great article summarizing all that we've had the opportunity to learn about this subject - often the hard way - over the last forty years. Ah, the (sometimes) glorious mistakes! The most significant residual meaning of 'passive solar', to me, is the pleasure of taking a nap near a sunny window on a cold winter day. I only wish this article was available outside the firewall so that I could point clients to it. We have to have this discussion again and again. It could save an awful lot of energy that way (mine). One, I recall reading a while back that at least one California utility was paying customers to point their grid-connected PV panels to the west so that the greatest output occurred in the late afternoon when demand was also greatest. The panel does not generate its maximum output in this orientation but for this utility it does produce its maximum *useful* output. Two, most homes being built today do not enjoy the luxury of choosing their solar alignment in any case. They face the street, period. Few developers pay much attention to the affect of subdivision layout on solar performance. And the vast majority of individually-designed non-subdivision homes which *can* choose their orientation are built out in the boonies, bringing a whole range of secondary resource penalties such as transportation dependence. Of course this is a whole other discussion area, one which GBA seldom gets into. You wrote, "I only wish this article was available outside the firewall so that I could point clients to it." As I already noted on this page (see Comment #17), this article is available on the free side of our paywall. 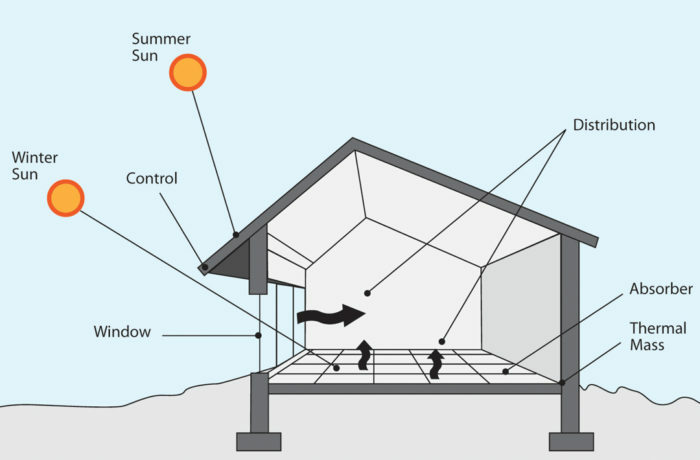 Here is the link: GBA Prime Sneak Peek: Reassessing Passive Solar Design Principles. You wrote, "Most homes being built today do not enjoy the luxury of choosing their solar alignment in any case. They face the street, period. Few developers pay much attention to the affect of subdivision layout on solar performance. And the vast majority of individually-designed non-subdivision homes which can choose their orientation are built out in the boonies, bringing a whole range of secondary resource penalties such as transportation dependence." Good point. The same point was also made in the thread of comments on the parallel page for this article -- the version in front of the paywall -- by GBA reader Peter Amerongen (see Comment #14 on this page: GBA Prime Sneak Peek: Reassessing Passive Solar Design Principles). Peter wrote, "Unfortunately, good solar access is pretty rare in the dense urban places where we should be building. It makes no sense to piss away the savings to be had from that perfect solar site by driving back and forth to work every day." Thanks Martin, I largely agree with you, and have followed those trends in my own design and construction practice. I would like to add the following points which are intended to broaden the discussion beyond your "technical" and "economic" concerns. First, local climate matters. Many of the early high mass Passive Solar houses were built in the New Mexico highlands where there is real winter, regular sun and predictable diurnal swings. With summer shading, I would think that Passive Solar could work well there. Personally, I would modify your design suggestions with an eye towards regional variations in weather. There are plenty of places in the country where some version of the Passive Solar/PassivHaus continuum can work well if carefully designed. Secondly, the windows we now have available offer us much better performance and design flexibility. We no longer need to be held captive by building orientation and that is important in urban settings. Still, if there is good sun in a cold climate, cheap fixed glazing that is limited in size can make energy, performance and economic sense. Decreasing window sizes on the NWE sides and increasing Southern glass by a moderate amount can actually be cheaper than a regular arrangement. As such, there is no cost penalty. Finally, This discussion leads me back to the old question of unique designs vs. housing standardization. For me, livability has become increasingly important as we button down our houses. Strategically placed windows, to capture the sun, the views, and the ever changing light are essential to my sense of well being. There's nothing better than warm sunlight flooding the house on a winter day. Personally, I think that grounding house design in local conditions, where the house responds to weather and the land, is as essential as high insulation levels, air tightness and moisture control. This is, of course, an argument for the art of house design. Equally important is how do we get to affordable/standardized housing that works well, which seems to be your starting point. I very much appreciate the clarity that your article brings to the discussion and the need for general design principles, but would like to see every article and response include some mention of local climate. Thanks Martin, this is definitely a post to be widely shared. BTW, I did click on your link earlier but it led me to a different, barely related post. Maybe my browser had a code fart. Yes, the link was bad before I corrected it. Sorry -- I hope it works now. Firstly, I have received great wisdom here from many people and I appreciate that. Thank you. 2 houses and a large shed. .... I had built an E/W, south facing passive solar, big over hangs, Russian stove heated, timber frame ... it was great, it had a 15-20 degree temp swings, (upper 70s day, 59 by am., but you adjusted ... and I was 29 and thought it was great. Pro - Bright and winter toasty, low energy costs... Con .. a little too warm in the shoulder months, awning maintenance, my wife didn't really care for the temp. swing, but fans and Russian stove worked on that. There were compromises and nothing fully black and white. Fast forward 20 years, I purchased a highly insulated Cape with the wrong orientation, I have adapted this place 3 different ways to tomorrow, with more glass, more insulation, porch adaptation etc.., PV system.. it all works reasonably well. This also has awnings... everyone should use awnings, they add charm and really work. I do not care for this house nearly as much. Pros, traditional, lives reasonably and mostly efficient. Cons - the wrong axis forces fossil fuel usage, lights, heat etc .. due to rm layout and livability. Pro and Con are really the same as I am the enemy, I am far too aware of thermostats and light switches, even though we have PV and almost no electric cost. More compromises..my wife likes this place better. The Compromises first, I would rather have more solar gain in the winter, bright and warm wins. Having to open a venting window or large doors is the compromise. Nothing too mechanical please, it costs a lot and low ROI,. The compromise of Awnings and airflow will resolve most summer issues. It is the magical mini-split, that will be needed most, to take the edge off winter and summer. (there may even be an issue with those mini-splits), The slab will also play a role in some way. PV will be added before the end of 2016, This building may never actually go on to the grid. If you have a growing family, there will be compromise, parents moving back in compromise, retrofit compromise, the technology compromise, millennial compromise, the Uberization compromise, the Financial compromise. Being in the RE Brokerage business, with emphasis on Marketing and Sales, I can attest to less is usually more, technology is as much a trap as a help, there is always something new.... and time tested design, products and methods usually win. Sorry for the soap box turn, but I just read about the Romans and the aqueducts, the mini-split cop efficiencies and then passive solar ... I couldn't help myself. The sun wins in multiple ways, the technology of insulation wins, the idea of simple planning and design wins and it must have financial and environmental sense. I'm done. Thanks. Thanks for sharing your experience. It's all relevant, and it all rings true. Indeed, the energy nerd often has different expectations and desires from the energy nerd's spouse. This raises many questions; for example, why is it that the energy nerd is willing to accept wider indoor temperature swings than the energy nerd's spouse? Is it because the energy nerd, by definition, is invigorated by these temperature swings? Or is it because the energy nerd is willfully blind to data that don't fit the energy nerd's world view?